An online gambling bill introduced in West Virginia earlier this month won’t be acted on quickly, thehold pattern likely influenced by the recent DoJ opinion. That opinion, which found that all types of online gambling fall under the parameters of the 1961 Wire Act, has jumbled the landscape of regulated online poker and gambling in the US. The DoJ issued a previous opinion in 2011 which stated that the Wire Act applied only sports betting. The recent Wire Act reversal has been met with considerable confusion as states that had been moving forward with online gambling legislation based on the 2011 opinion have apparently been stymied. However, the DoJ’s opinion is not entirely clear, paving the way for likely court challenges that will further compound the slow pace of US i-gaming regulations. 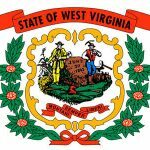 It appears that West Virginia is among the first states to be affected by the DoJ opinion, taking a wait and see approach before moving forward with an online gambling proposal. 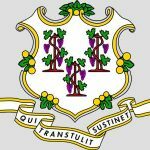 An i-gaming bill had already been introduced in the first days of the 2019 legislative session. That bill (HB 2178), sponsored by Delegate Shawn Fluharty, seeks to regulate online poker and casino games. 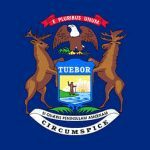 Operators would be restricted to the handful of land-based casinos in the state, with each required to pay a $50,000 license fee. The tax rate on gross gaming revenue was fixed at 14% in the proposal, bad actor language wasn’t included, and “bots” wouldn’t be permitted. Also, West Virginia would be allowed to partner with other regulated states in an online poker consortium in order to increase liquidity. It’s that type of partnership that seems to be taboo as spelled out by the most recent DoJ finding. The Wire Act specifically forbids interstate wagering. Still unclear is how the current states of Nevada, Delaware and New Jersey are affected by the new opinion, as the trio are already operating an interstate online poker compact. West Virginia lawmakers have been making concerted efforts to expand their gambling offerings of late. The Mountain State was out of the gate quickly when the US Supreme Court repealed PASPA last May, a ruling that permits all states to offer sports betting. Legislators in West Virginia had prepared a sports betting bill in advance of the US Supreme Court decision. Thinking ahead allowed the state’s casinos to be ready with sportsbooks in time for the NFL season, which proved to be quite lucrative. Although HB 2178 will take a back seat for now, West Virginia will proceed with authorizing more retail locations to add video lottery terminals (VLTs) and keno games. Convenience stores are among the retailers designated to sell the lottery and keno tickets. Two of the state’s five casinos have already implemented online sports betting. The other three casinos are progressing toward climbing aboard. It’s likely that West Virginia will someday continue with online gambling regulation. Whether or not poker is part of the package remains to be seen. More clarification by the DoJ with regard to their newest opinion would certainly be helpful.